A few other books include an appendix listing producers and years. But these are also all wrong, as well as not having information about the Ports and how their existence is known. But a plain list wouldn’t be interesting, even to a wine aficionado. What’s wanted is the evidence: the evidence constituting a history of Port selling and buying and storing drinking over the last 2½ centuries. This is the book Port Vintages. This book contains tales of the selling, the buying, the tasting, and drinking of old Vintage Ports. There is a parade of the 1847s, the ’51s, the famous 1878s and ’96s, the 1912s, ’27s and ’45s, and the splendid Vintages of our era including 1955, ’60, ’63, ’66, ’70, and ’85. One could be envious of these antiquities. Indeed, it is this author’s ambition to taste Dow 1878: imagine my envy at the Worshipful Company of Merchant Taylors buying a pipe (=56 dozen) at only £0.10¾ per bottle! But these ancients were not selling and buying and tasting and drinking exceptional old Port: for them, mostly, the Port was just ready for drinking. And they drank it, as you and I drink the Port of our times. 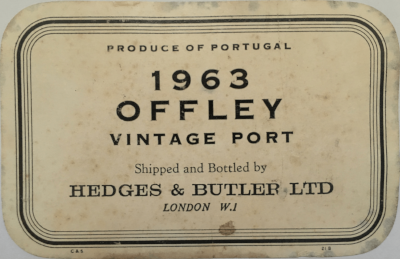 In 1959 a bottle of “1935 Boa Vista”, so Offley and only 24 years after the harvest, was recorded as having been “tasted and noted with pleasure”. 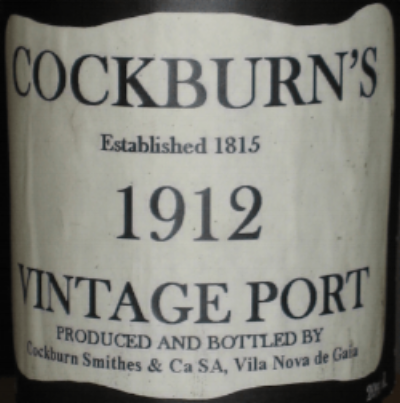 Please do taste and note your Vintage Port, and may it be with much pleasure. And with this book to hand. Sign up for the mailing list for news about this book. Questions about the book or the process to get it to you? Ask here.